GetDivorcePapers.com provides professionally completed, 100% court-approval, money-back guaranteed Georgia divorce forms. Just create an account, complete the interview, and file for divorce. Our case managers do all the work for you, and send the completed Georgia divorce forms when they are ready to be filed. It is necessary for the filer of the case to be the resident of the Georgia before filing the case. If it is not so, then the defendant has to be the resident for at least 6 months before the case has been filed. Domestic violence and abusive environment. Any sort of physical or mental illness. How apt a parent is for the child's custody. Flexibility among the parents to have interaction with each other for the nurture of the child. Physical and social needs of the child. How affectionate the child is with other members of the family. Willingness of the parents to take the custody of the child. Georgia never prefers the joint custody of the child if there have been noticed the symptoms of the domestic violence. 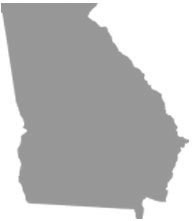 Georgia follows the rules of an equitable distribution in regard of the property distribution. All the marital property of the spouses is divided equally among the filer and defendant. If the divorce is not being declared on the basis of adultery or disloyally in the relationship, then courts may order for the spousal support. Role of each spouse in getting the marital property or any other financial asset, and the monthly income of the two is considered in determining the amount. Occupation and skills of the both, debt obligation of spouses if there is any, and the financial strength of the both are also considered in this regard. Courts of Georgia have set forth the rules for the child support after analyzing the prevailed circumstances of the family. In this section, basic needs of the child and the paying ability of each of the parents is scrutinized. On the basis of this analysis, court orders either one of the spouses or both to pay for the child support. For the optimal binding of the family, courts may ask for the mediation. Parents are required to take counseling courses in this regard. There is no need of a lawyer when applying for divorce in the state of Georgia. A divorce case which is filed without any help of an attorney in any of the states is known as Pro Se Divorce. Literally, Pro Se is a Latin phrase and it means "on her or his own". Process of getting the divorce without the help of lawyer may vary from one State to another. These types of divorces are perfectly legal and enforceable in Georgia, and are actually very convenient. Usually, once settlements have been made regarding property distribution and custody matters among the spouses in case of a mutual divorce, Pro Se Divorces are filed.